I arrived at Eng Wah Suntec to see a string of crowd hanging around the box-office. Most of the crowd were teenage girls and some arrived with their boyfriends, making them stick out like a sore thumb. The individual interviews were scheduled at 3pm, but due to traffic conditions, the cast and crew of The Curse of Niyang Rapik arrived a little late. I came into the press conference room, caught the eye of one of the cast, smiled and then quietly sat down with my Caramel Frappe from Starbucks. I quickly learnt that they were still having the mini press conference with winners from a Berita Harian (BH) competition. I surveyed the table; Shahiezy Sam, Kamal Adli, Ahmad Idham and Awal Ashaari all looked tired but they managed to keep their smiles for the fans. 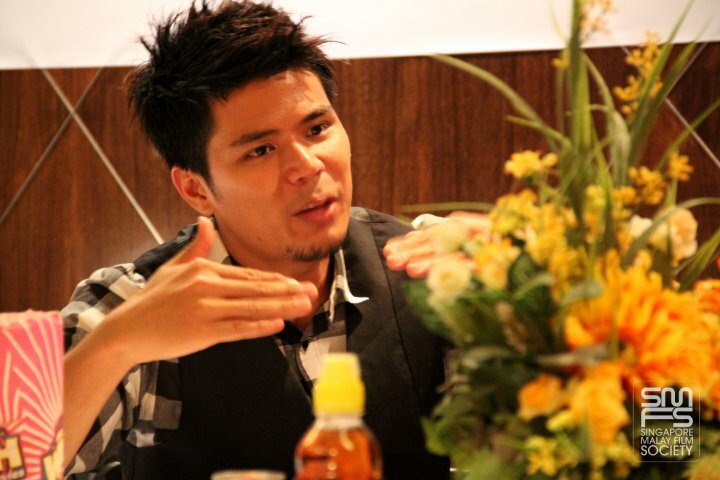 You could see that the trio of actors – Shahiezy, Kamal and Awal – was the freshest face in Malaysian cinema. All three were tall, handsome and had a distinct character, not to mention that they are all still in their twenties and single – to the fans, at least. 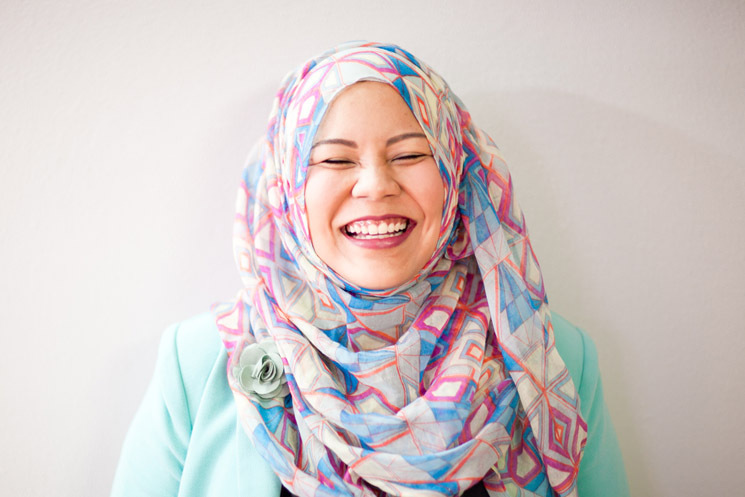 Who can resist Awal Ashaari’s charming personality? 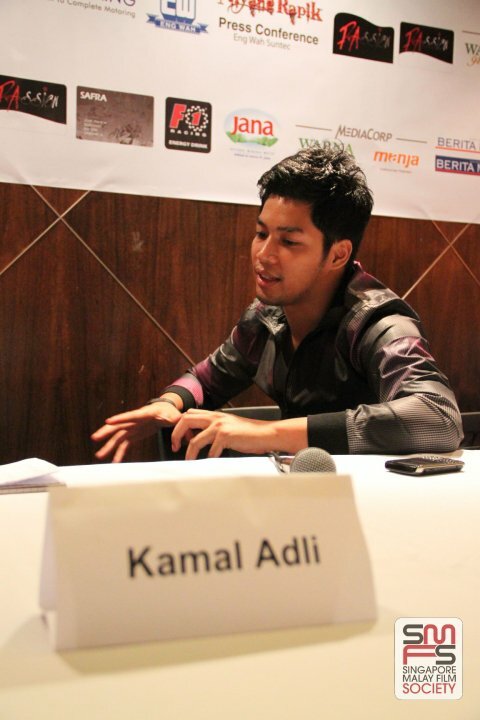 Kamal Adli looking cool while the interview takes place. Ahmad Idham being interview by SMFS Journalist Nurul ‘Ain. Shahiezy, dressed in a t-shirt and jeans combo with a gray leather jacket, would probably blend well with the crowd at Orchard Road together with his black wayfarer sunglasses. Kamal, the youngest of the trio at 24 years old, looked trendy with his colourful high-cut sneakers while Awal, probably the most sought after by the fans, was dressed for a concert complete with a checkered shirt and black vest. 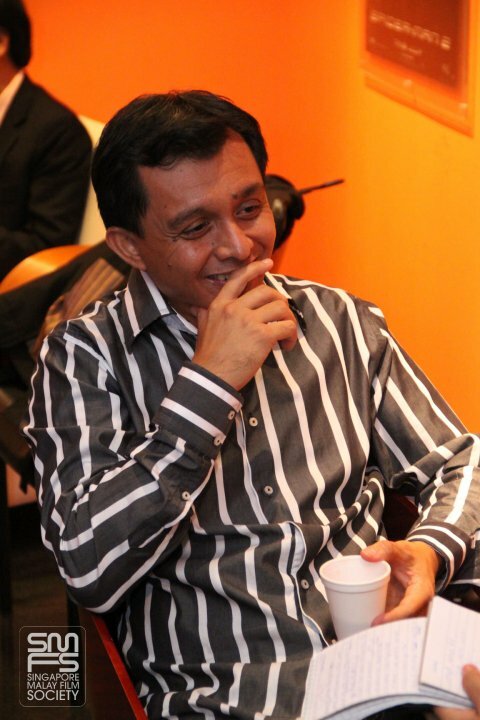 Ahmad Idham, Malaysia’s top film director, arrived in a casual combo looking smart and ‘abang-abang’ as usual. 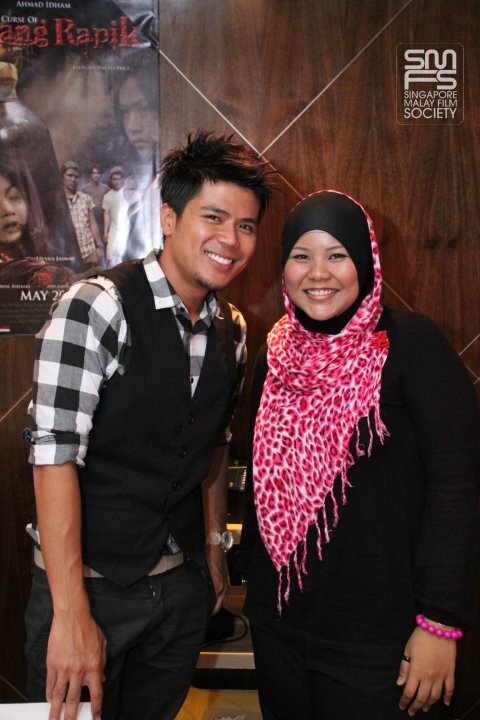 He was all smiles and ready to release his third horror film in Singapore. Shahiezy Sam thinking hard about ‘Ain’s questions. Malaysians are all too familiar with Puaka Niyang Rapik, a hit TV3 horror series produced by Ahmad Idham as well. So it comes as no surprise that The Curse of Niyang Rapik would follow closely to the genre of thriller, adventure and horror. By my standards, The Curse of Niyang Rapik is the best horror film Metrowealth has ever produced, even better than Santau and Jangan Pandang Belakang. From left: Isnor, Shahiezy, Awal, Me, Ain, Ahmad Idham, Kamal and Saiful. I’ll let you guys YouTube the trailer for now, and oogle and the pictures which I know some of you might want to kill me for. I think I may already need a bodyguard, don’t you think? Look out for a review from the SMFS Journalists tomorrow and a new SMFS column by yours truly next week on Monday. The Curse of Niyang Rapik is released on 13 May 2010.